After a long and tiring day, all you can think of is to relax and unwind in your bed. However, your surroundings also play an important part in setting the mood right. If experts are to be believed, a bedroom painted with pastel blue not only gives your bedroom a cool look but also makes it a peaceful haven for you. Adding a few knick-knacks and some wall art can add to the tranquility, making your bedroom a perfect place for you to relax and rejuvenate. 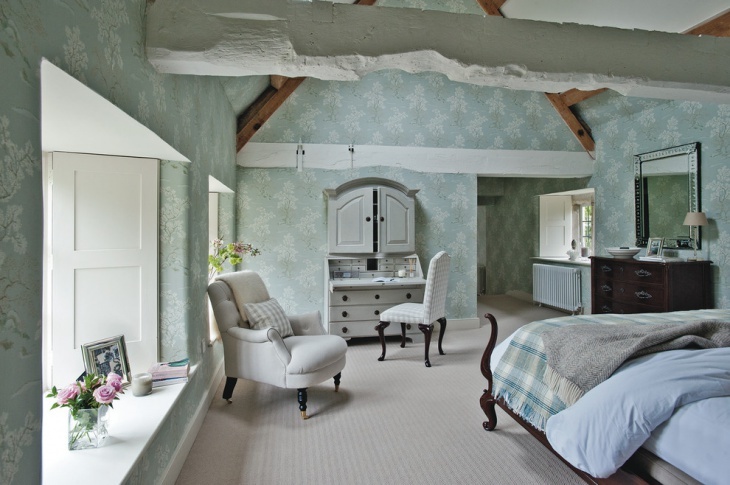 Give an elegant look to your bedroom with this pastel blue bedroom design idea. Use bed sheets of contrasting colors and add in some throw cushions in some vibrant shades. Place a vibrant mural painting over your bed to add a dash of color. 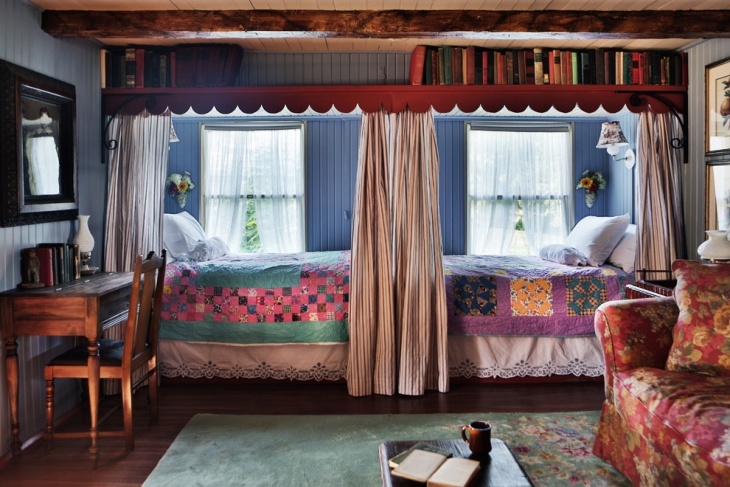 Wood paneled beds and side tables would be perfect for the room. In case, you plan for a seating area, bring in pastel blue fabric sofas and an off white oval table to complete the look. Give your pastel blue bedroom a classy appeal with this amazing bedroom design. Paint the side trims and the window panes a classy white to accentuate the look. Go for matching throw cushions and pillow cases and opt for white bedcovers. Pick your furniture in hues of white for to get that classy look. Create a cozy sitting area with a plumped up arm chair and a table designed using matching fabrics. If you are thinking of giving your pastel blue bedroom a royal look, start off by investing in some oak wood furniture which includes a king size bed, a dresser and an oak paneled fire place. Add in a classic looking chandelier and place an elegant table lamp on the dresser. Pick pastel blue shades of fabric for pillow cases, cushion covers and comforters and let the bed cover be white. A love seat in wood and pastel blue fabric will complete the look. In case, your bedroom faces the sea, the natural blue of the sea and the pastel blue on the walls are sure to set the mood right. Opt for all white and off white accessories. Go for white colored blinds and dressers and add two comfy arm chairs in off white fabric. Let the bed covers and throw cushions be in white with some colorful embroidery to add in a dash of color. Accessorizing your pastel blue bedroom with the right accessories can work wonders for the way it looks and feels. Go for beige colored bed covers and bed blinds. Add in a rug with shades of pastel blue. Get a blue colored ottoman for the sitting area and match the pillow covers and throw cushion with it. Create a relaxing corner near the window with a white divan and pastel blue cushions. If a contemporary design is what you are thinking of for your bedroom, go for a beige paneled bed and side table as beige goes well with pastel blue. Pick a light brown satin comforter for the bed and matching square throw cushion covers. Add in a couple of cylindrical throw cushions in darker shades of blue. A beige colored fabric sofa with pastel blue throw cushions and a dark blue ottoman complete the look. You can also add in a single light blue arm chair for extra sitting space. Pastel blue is a hot favorite for bedrooms and can be easily incorporated into both modern and classic decors. However, finding that fine balance by choosing the right accessories is what will make it a cozy haven for you and your loved ones. 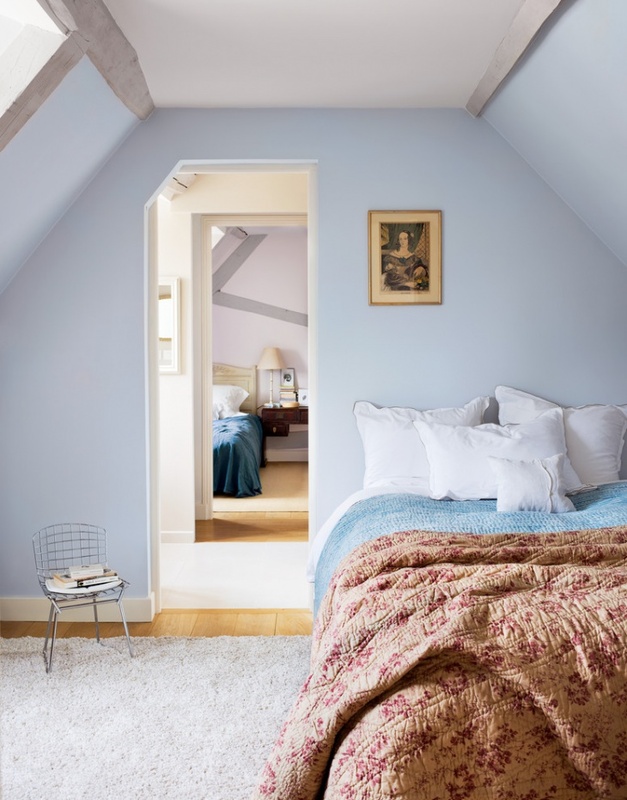 Do you have any more pastel blue bedroom design ideas? Share these with us and the other readers.